When Alice Ann Dailey takes a student from weak to strong it doesn’t take her very long! It’s all about reprogramming core muscles to bring a body back to perfect balance and youthful movement. Dailey is a dancer by passion and a fitness guru by trade. 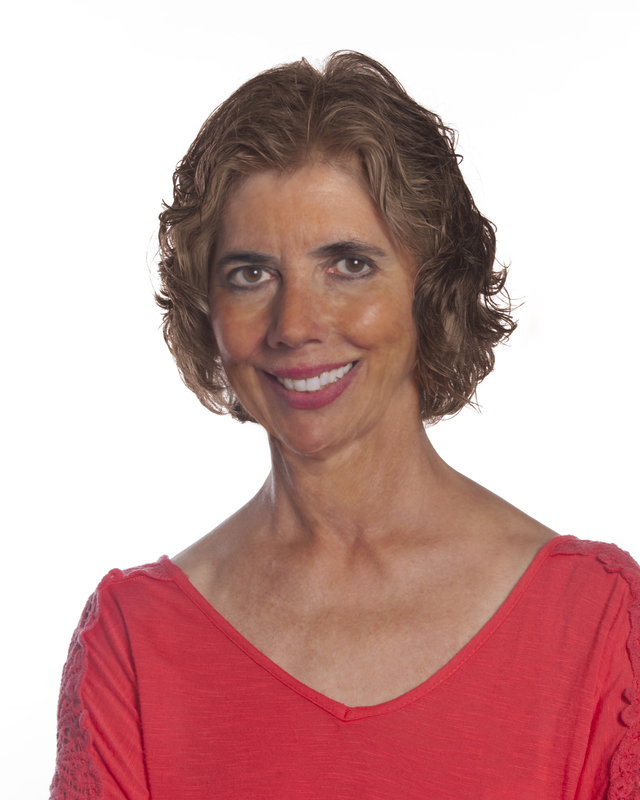 She ran the Dallas Oasis Mind-Body Center for more than two decades and is now dedicated to helping everyone sustain their youth and regain the strength of their amazing, ageless bodies. 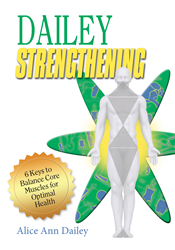 Alice Ann Dailey’s new book Dailey Strengthening: 6 Keys to Balance Core Muscles for Optimal Health (Brown Books Publishing Group) shares her passion for teaching core strengthening exercises based on the “triangle” approach and healthy lifestyle principles to promote wellness and longevity by revealing proven anti-aging secrets emphasizing a mind-body connection. With Dailey Strengthening, Dailey simplifies 20 years of insight working with well-known fitness pioneers including Hollywood’s preeminent Pilates instructor Ron Fletcher who was trained by exercise innovator Joseph Pilates. What she has gleaned over her career working one-on-one with the best of the best, fitness trainers, trusted doctors and loyal students, is a wealth of proven techniques that anyone can use. She distills these methods into her 6 Keys to Balance Core Muscles for Optimal Health. “Be a good friend and converse with your body,” is Dailey’s mantra. It starts with good posture and body awareness, a way to align the neck to the spine correctly, so ease of movement is sustained. With everyone slouching in chairs or hunched over computers and handheld devices suffering from tech neck and back discomfort, her advice on how to improve posture and avoid painful positions is needed more than ever. Dailey Strengthening author Alice Ann Dailey starred in a TV segment about maintaining better posture that aired on Friday, January 8, 2016 and is featured on the CW33 Eye Opener website: http://eyeopenertv.com/2016/01/08/ways-to-fix-bad-posture/. In Dailey Strengthening, you’ll find more than an exercise plan: you’ll find the ingredients for a healthier body, a healthier mind, and a healthier lifestyle. Founded by Milli Brown in 1994, Brown Books Publishing Group is a full-service, independent publisher of high-quality books across all genres. Committed to producing award-winning books for authors who choose to retain the rights to their intellectual property, Brown Books publishes more than one hundred titles a year and has won numerous prestigious awards, including the Writer's Digest Grand Prize, Mom's Choice Award, Foreword Book of the Year, Gold Ink Award, Axiom Business Book Award and many more. Brown Books authors have appeared on programs and networks such as the “Today” show, Fox News, “Face the Nation,” CNN and BBC News. They have been featured in publications such as USA Today, Publishers Weekly, and The New York Times. In addition, BBPG authors have been guests on NPR programming, including “The Diane Rehm Show,” “Morning Edition” and “The Takeaway.” To learn more, visit http://www.BrownBooks.com and http://www.BrownBooksKids.com and http://www.BrownChristianPress.com.